Exploring universal themes of identity, dreams and family, Rebels on Pointe celebrates the world famous Les Ballets Trockadero de Monte Carlo. The notorious all-male, comic, drag ballet company was founded over 40 years ago in New York City on the heels of the Stonewall riots, and has a passionate cult following around the world. The film juxtaposes intimate behind-the-scenes access, rich archives and history, engaging character-driven stories, and dance performances shot in North America, Europe and Japan. 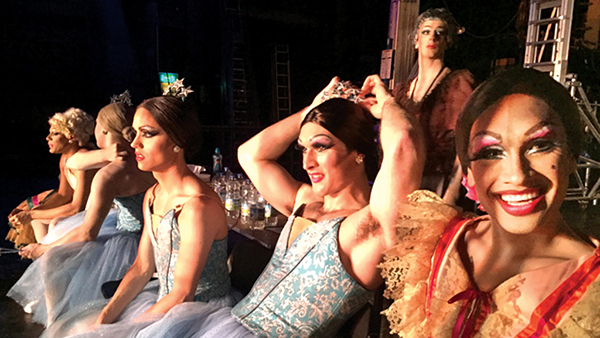 Rebels on Pointe is a creative blend of gender-bending artistic expression, diversity, passion and purpose. A story which ultimately proves that a ballerina is not only a woman dancing—but an act of revolution in a tutu. “Laugh out loud funny!… The dancers are good company for any audience.”—POV Magazine.